CEOCFO: Dr. Roy-Burman, would you tell us the concept behind Elemeno Health? Dr. Roy-Burman: Healthcare knowledge is growing exponentially. In the past our frontline teams could easily master their number of tasks at hand, but now they are overwhelmed. We have a rapidly expanding gap between institutional knowledge, or �policy,� and actual frontline practice. The result is increasing practice variation. This leads to inefficiencies, and most critically, errors�the third leading cause of death in the US. In the consumer world, tech enables us. Software and mobile devices continually help us manage an ever-growing trove of information and responsibilities. However, in healthcare, tech, in the eyes of the workforce, is all too often a hindrance. As a result, many feel we have created the most expensive clerical workforce in history. Why can�t tech enable our frontline staff, where the stakes are highest? The name Elemeno comes from our core values: to Elevate quality by Empowering our frontlines with knowledge and Engaging our staff as a united interprofessional team. We take user-centered tech, proven in the consumer space, and integrate these approaches into a simple and readily accessible aide to support our nurses, staff, and docs, 24/7, on any device. We close the knowledge-practice gap. By getting the right practice to the right staff and the right time, patients get better care, and our clients save money. And, through a scalable, easy-to-use platform, we can get everyone on the same page, and keep them there. CEOCFO: Are frontline people recognizing the fact they are lacking or are they accustomed to not having that information available? Dr. Roy-Burman: In this country nurses perform the majority of the care that patients receive, and they will all tell you that there are too many practices to stay on top of it all. Staff training is delivered in didactics or dense policies, and done so in meetings or emails disconnected from actual practice. Without context, retention is poor. Critical reminder information lives in a lot of different places. Key resources are filed away in paper binders, lost in the intranet, scattered across the web, and even posted on the wall in the staff bathroom. The hard thing for the staff is that they cannot remember where to find what. And when they are always very busy at the bedside, they all too often do not have the time to go looking for it. Nurses, ancillaries, and young doctors are accustomed to not having key information at their fingertips; they regularly turn to the peer closest to them. The result? Training for frontline staff has become a game of telephone: somebody new comes in and they are not sure how to do a procedure, they will ask somebody else next to them who will try to give them their best understanding, and then in turn they teach someone else and create another variation. Practice variation results in errors�and errors harm patients. CEOCFO: How does Elemeno work? 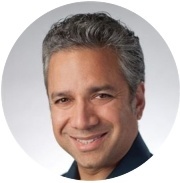 Dr. Roy-Burman: At Elemeno, we take institutional best practices scattered in binders, posters, emails, intranets, and disparate Internet sites and make them easily accessible in a one-stop-shop, curated by unit or clinic. More important, we transform complicated practices into bite-sized training�interactive decision guides, smart checklists, and concise how-to video�that staff can easily pull, and digest, on-demand at the point of need. Leadership can strategically deliver, promote, and track each piece of content, and frontline staff can send immediate feedback. We apply gamification and social/peer-recognition to drive engagement, leveraging the natural hierarchies of rivalries in the institution, from shift to unit/clinic to department and hospital. It�s more than just accountability to your supervisors�it�s about accountability and transparency with your peers. Ease of use is matched by ease of deployment. Hospital IT teams are overwhelmed by backlogged work in the �heavy� EHR. In contrast, Elemeno is a light cloud-based software-as-a-service, that is accessible on any device, from hospital workstation to personal mobile. As such, there is no need to integrate with legacy IT systems. Elemeno offers self-service functionality and works directly with clinical leadership. In fact, we have even deployed to clients without IT. CEOCFO: How do you decide on a video for the various elements you are covering? Dr. Roy-Burman: We do not decide what content should be delivered but rather provide a platform that delivers just-in-time training as well as metrics on that training. In every healthcare system there are smaller work groups such as the ICU or the primary care clinic or the surgical ward and each has a dedicated medical director, practice manager, and/or educator. They are the local subject matter experts. They already know their priorities and how to best accomplish key tasks, so we serve these local leaders and ask what they want to deliver. Videos work best for refresher training, on high-risk and/or low-frequency procedures. Between local management insight and Elemeno�s tracking functionalities, best practice video candidates are quickly determined, and training is scaled across an internal shared marketplace across units. Elemeno then monitors frontline feedback, in turn identifying the next round of high-value candidates for video-based training. In any unit or clinic, leadership knows their frontline experts for a given procedure. Managers often ask these expert staff to train their peers. Unfortunately, such training occurs by serendipity, when everyone happens to be in the right place at the right time. Elemeno removes the serendipity. With easy video creation, these frontline experts can star in their own video, and through Elemeno, their expertise is now available for their peers 24/7; on-demand coaching at the point of need. Furthermore, systematic recognition of such frontline expertise is a tremendous affirmation of value from management to staff, improving frontline morale and team engagement. CEOCFO: Do you work on simple things like drawing blood, where one would think all the nurses know how to do it, but from personal experience they do not? Now for units or clinics with high staff turnover, new grads, floats, or travelers, the �simple� procedures such as drawing blood may not be so simple, and can then benefit from just-in-time support. And for patients with veins that are hard to access, the procedure is complicated for most everyone. However, there is often a star phlebotomist who is called in for help. We can capture and scale his or her technique; and then he or she can coach peers anytime, on-demand. CEOCFO: Would you tell us about being recognized with a MedTech Breakthrough Award for Overall Digital Health Innovation? Dr. Roy-Burman: We are thrilled to be recognized alongside so many established and well-respected companies in healthcare today. Thousands of companies are considered for the MedTech Breakthrough Awards, so to be selected out of that pool was a tremendous honor. The award calls attention to what it is that we do: elevating quality by empowering our frontlines with knowledge and promoting best practice in the field or at the point of care. Such scalable support is invaluable to leveling out performance and providing safer care to all of our patients. We all want better healthcare. Care is delivered by people, not tech. While many tech solutions focus on removing people from the healthcare equation, Elemeno focuses on improving them. Our frontlines are inherently driven to help others. Empower our staff with the tools and support to deliver the best possible care, and we will improve the experience for patients and providers alike. Elemeno Health is a 2016 Medical Entrepreneurship & Disruption (MEDy) award winner, calling out the value in our initial solution prototype. The 2018 MedTech Breakthrough Award affirms our ability to scale this solution. Moreover, it highlights that there is a real need for quality and safety solutions that enable �top of license� staff performance. If we can help our caregivers work smarter at scale, we can radically transform the cost and outcomes of healthcare today.